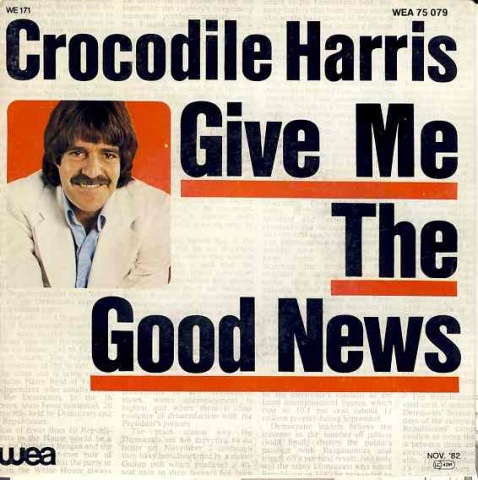 With the help of Tully McCully, Crocodile Harris constructed ‘Give Me The Good News’ around a beautiful piano lullaby tune. Some lush orchestral sounds are added while Crocodile’s emotive vocals build into the crescendo of the brassy chorus that fairly soars. However, unlike some other anti-war songs, (Dylan’s ‘Masters of War’ for example), this is not an angry song. It is almost like a father telling a child not to grow up going to war. This feeling is perhaps brought on by the lullaby lilt to the piano and, as the song draws to a close, a child-like xylophone accompanies the piano. Harris, (real name Robin Graham), scored it big with this anti-war song. Not only did the song spent 8 weeks on the Springbok Top 20 , peaking at number 14 in 1982, but also went on to shift 650 000 units in France. Who says good news doesn’t sell? Tully McCully is an relatively unsung hero of South African music. Apart from his work with McCully Workshop, his name appears on numerous South African records sleeves as producer or writer. His Spaced Out Studios are also a popular place for South African music to be recorded. In 1965 Tully and his brother Mike formed the Blue Three with Richard Hyman. A few name and personnel changes later and McCully Workshop was born. They enjoyed a lot of success and critical acclaim. Then in 1977, they released the album ‘Workshop Revisited’ which featured ‘Buccaneer’ a song about pirates, hidden treasures, yardarms and betrayal. The song quickly climbed to the top of the South African charts and not surprising as it is a great rock track, complete with sing-a-long chorus and imagery that had most school boys swashbuckling with air guitars up and down the country. 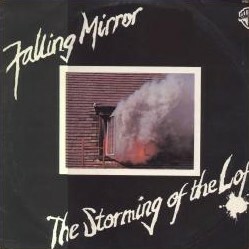 The song made its way into the psyche of the country and has remained a firm favourite for many. If you can find it, there is a cover version by a group called Moyawetu. Also look out for the harder edged re-recorded 1988 version featuring Jethro Butow on guitar.